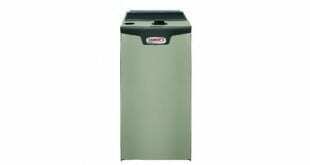 My Furnace maintenance is a call to action to have your furnace or heater cleaned and verify as safe. 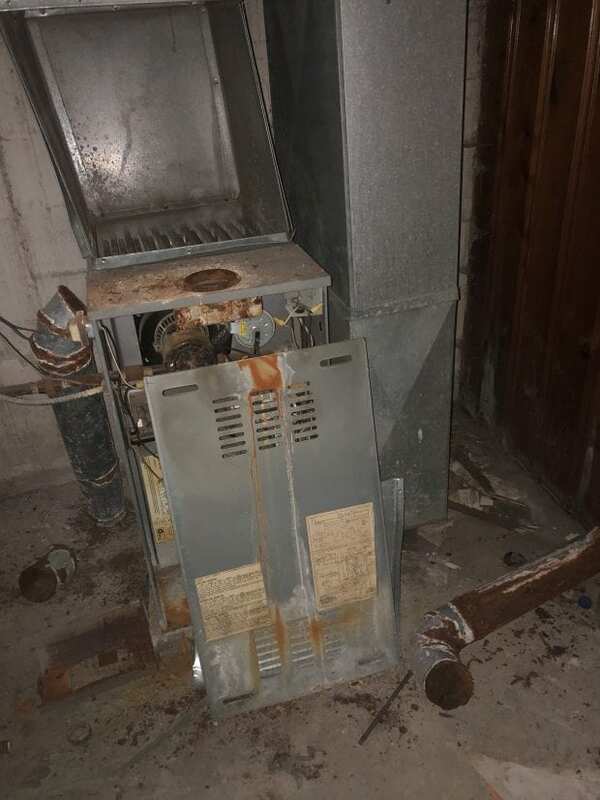 Furnace neglect is so widely seen in our industry makes me wonder why?Possible because the old adage, if it isn’t broke don’t fix it! 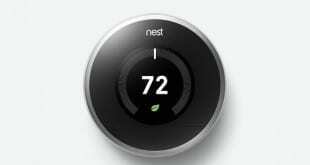 Many of our customers found out that this adage isn’t the case concerning their heating system. 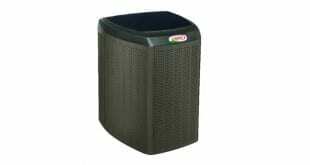 My Furnace maintenance neglect considering our volatile weather patterns should not happen. We know that forgetting to have your heating system maintained happens, but your safety and the wellness of furnace or boiler should be up on your top ten list of do’s. 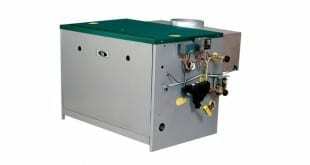 However the majority of the furnace owning consumer never gets the furnace cleaned or maintained. 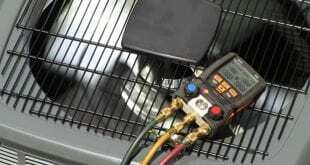 Of coarse it becomes an urgency when the heat in your domicile seems inconsistent or fails completely. 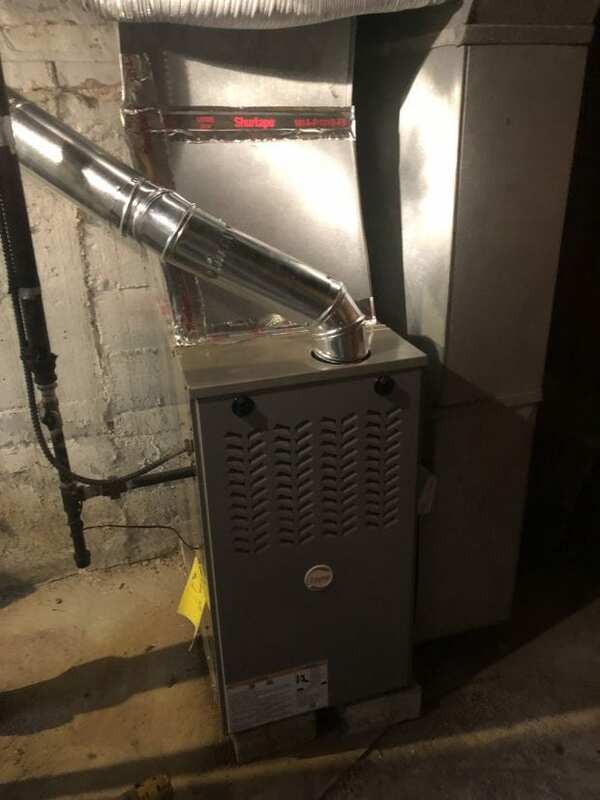 So a basic furnace cleaning which is generally less expensive than a furnace repair so therefore the furnace should be considered annually, this applies to your central a/c and boiler. 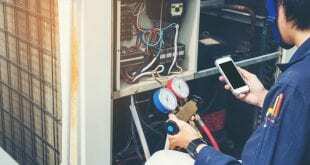 Our furnace maintenance consists of a good cleaning of furnace components and its controls and sensors. 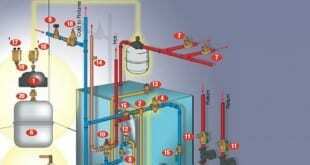 When flue passages are inspected and if warrantied we will perform a CO test on flue gases. 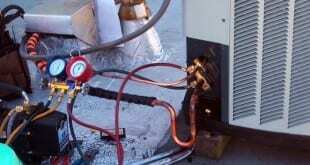 Blower motor inspection and cleaning as necessary, when we are complete the furnace will run at it optimal performance, no matter the age of the furnace or boiler. Before with lack of furnace maintenance, led to this! So the lack of furnace maintenance in the Chicagoland area created this issue, NO HEAT. As well as the flue pipe collapsed and a health and safety issue. So the pic below shows that lack of furnace maintenance above forced the consumer to purchase a new furnace. After with maintenance! If you notice our installers cleaned the homeowners dirty area around the furnace!